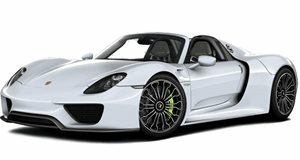 What's So Special About This Porsche 918 Spyder? It doesn't take a genius to work it out. Despite the bulk of Porsche 918 Spyders residing in the US, Stuttgart’s hybrid hypercar just seems more at home in Monaco, where even the bartenders and shoeshine boys are millionaires (probably). This beautiful example, finished in red – unusual for a 918 – has been beautifully captured by DPhotographyMC, and even standing still, its 887-hp potential is palpable. But if you are more about listening to sound tracks, then check out this video of a white 918 Spyder moving through the streets of Monaco. Car spotters were out in force for the Top Marques, and they went particular crazy for this rare animal.